Average 4.18/5 out of 11 total votes. 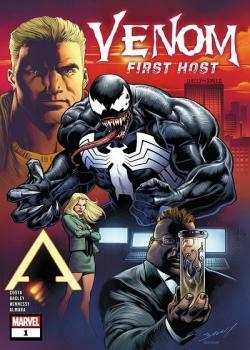 MIKE COSTA AND MARK BAGLEY REUNITE FOR A VENOM STORY UNLIKE ANY OTHER! Before the AMAZING SPIDER-MAN…before VENOM… There was the FIRST HOST. And that First Host has returned in need of Venom’s help – only by reuniting can the two avert cosmic ruin! Can Eddie and the symbiote trust one another long enough to save the galaxy, or will the FIRST HOST prove to be Venom’s undoing? !